You know, considering I'm a rugby lass from a rugby family, I seem to make an awful lot of football cakes. Here's one more to add to my growing list. 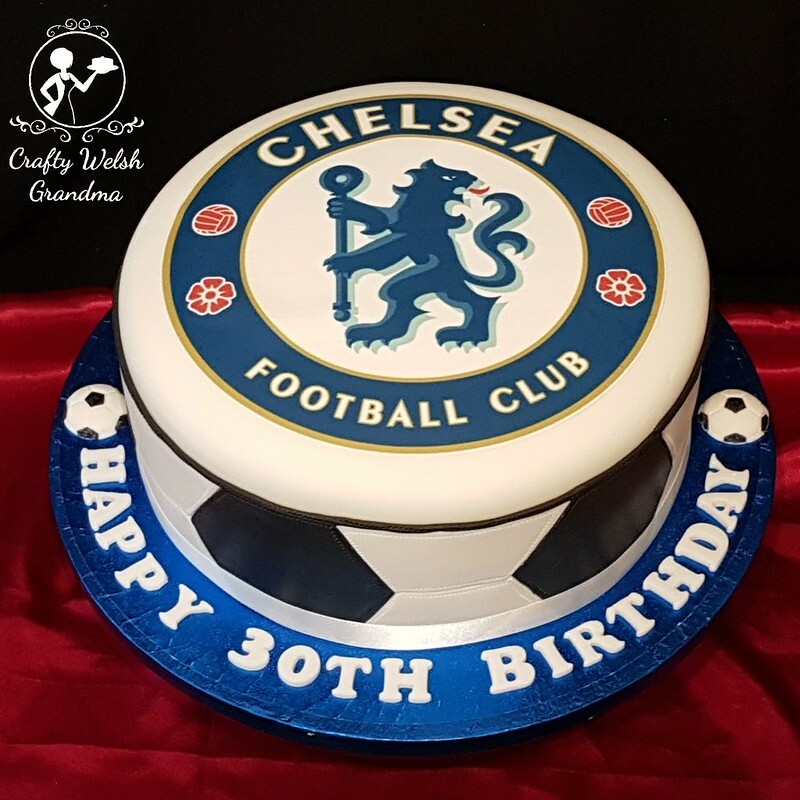 It might look like a plain cake but, just wait until you get inside! 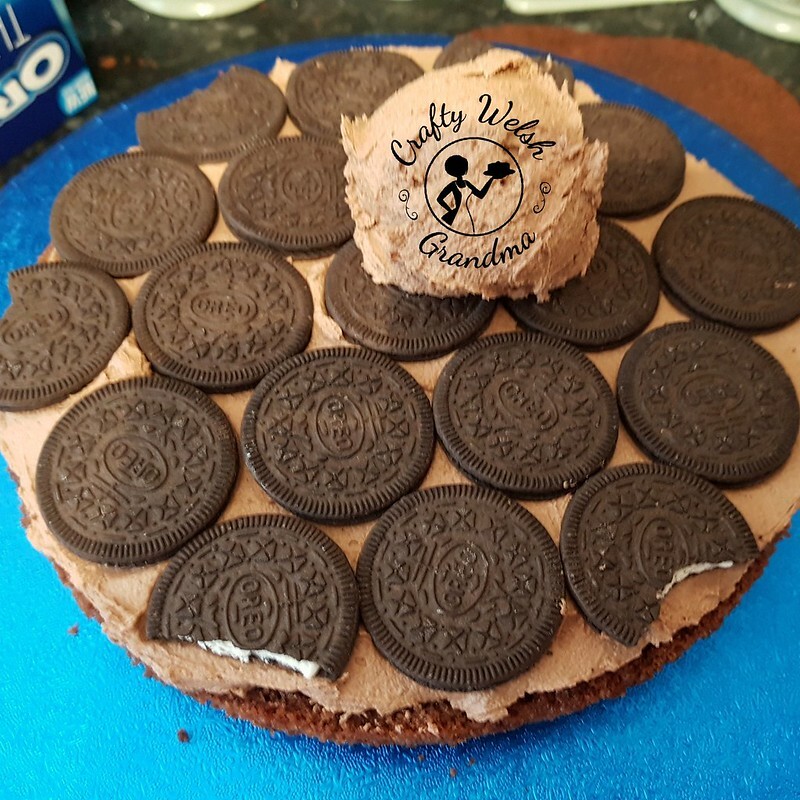 If it wasn't for the fact that I hate Oreo biscuits, I'd say it looks like the ones on the edges have been nibbled on, but breaking bits off was the only way I could fit them all on the top of the cake. 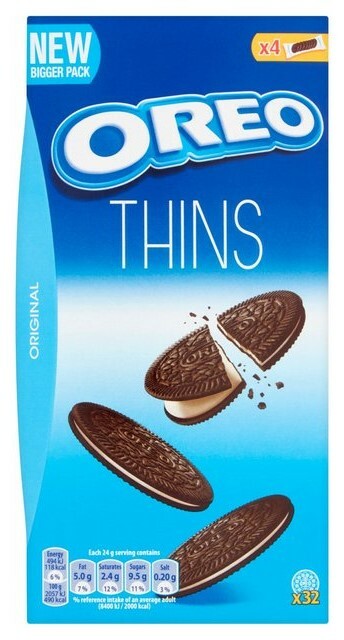 Trying to cut them just broke them in ways that wasted the whole biscuit. 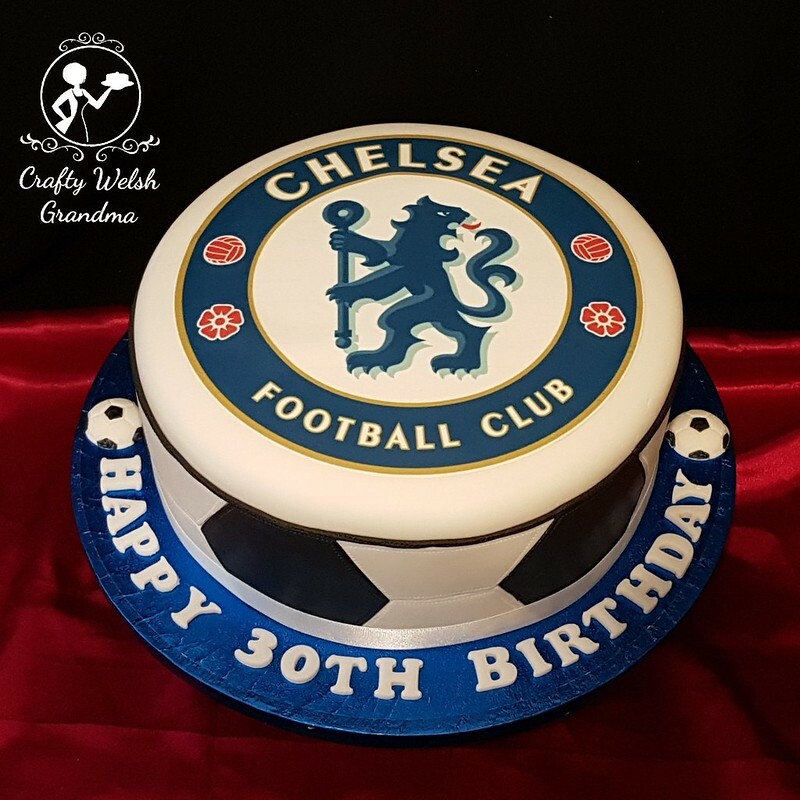 The sides of the cake have been decorated in fondant shapes as a 'homage' to a football. 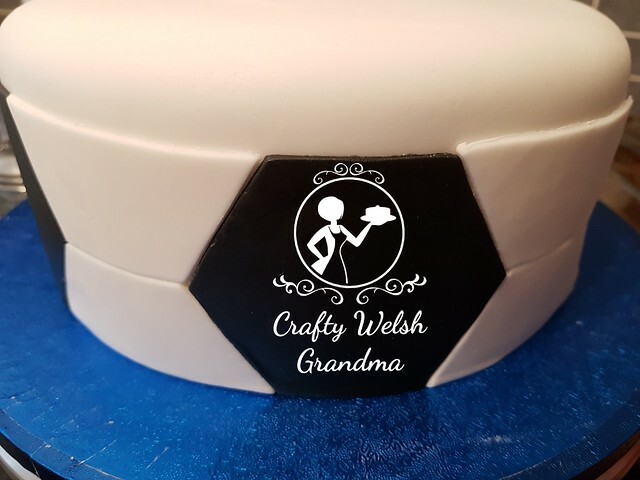 You can find these cutters in most good cake decorating stores as well as eBay and Amazon. These pieces were individually cut and attached then each piece was decorated with a quilting tool to mimic the stitching. You can see this detail better on the finished piece as well as on the red and blue footballs (links below). A thin line of extruded black fondant was then used to cover the raw edges of these pieces. That was 'stitched' too. 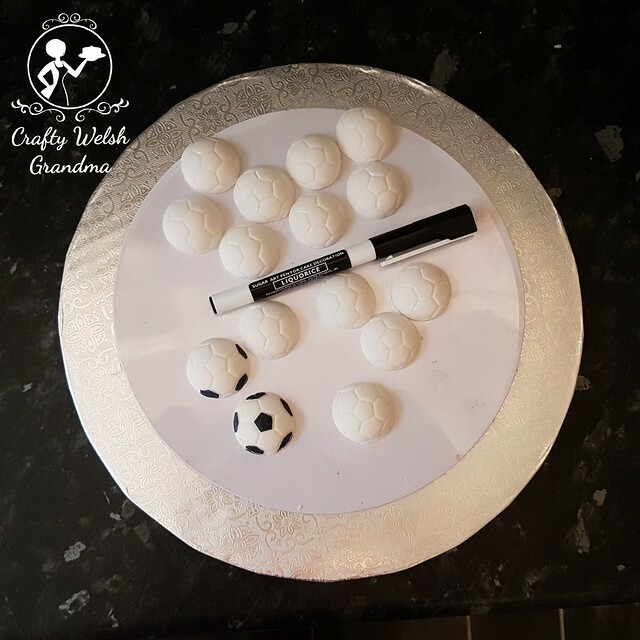 I also handmade a number of small half footballs and allowed to dry before using a food-colour pen to decorate. Some of these were then used to decorate the board along with the salutation. 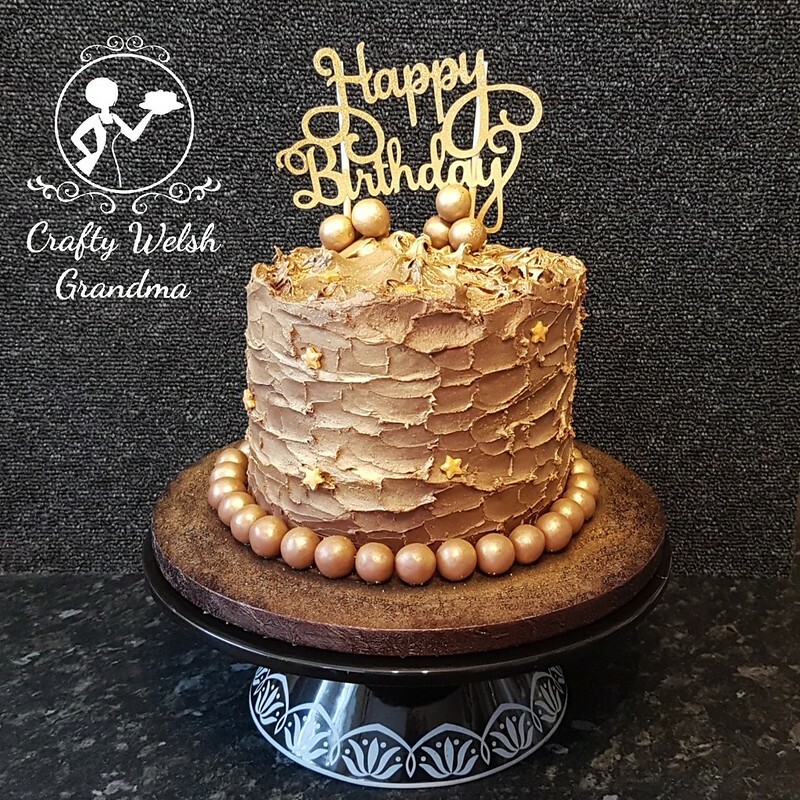 The topper is a quality, printed icing sheet that was pre-purchased and affixed to the top with the smallest amount of water and edible glue - the crowning glory! Once dried, the whole cake received a dusting of magic i.e. edible silver lustre dust and voila! Complete! As I understand it, the recipient has never had a birthday cake so, let's hope this one makes up for it.